The Graindelavoix ensemble from Antwerp is notorious for their daring and alienating performances that embrace the imperfections of what it means to be human. Now, they presents the four-hour piece ‘Tenebrae Responsoria’ by Carlo Gesualdo: a 17th-century progressive composer from Italy who explored harmonies and dissonant intervals that were unprecedented in his time. Later, he became an influence on groundbreaking composers like Igor Stravinsky and Arnold Schönberg. 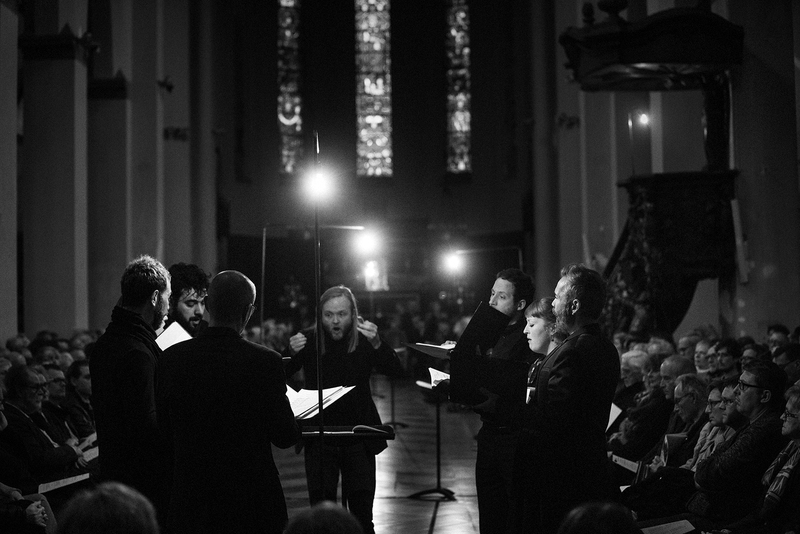 ‘Tenebrae Responsoria’ is an overwhelming and intriguing musical work seemingly composed specifically for a nocturnal concert.